Propolis is a complex mixture of natural sticky, gummy and resinous components produced by honeybees (Apis mellifera L.) from plant materials. However, phytochemical data of the Andalusian (southern Spain) propolis are scant. The primary objectives of this study were to chemically characterise the compounds and evaluate the anti-oxidant activity found in 28 Andalusian propolis samples. Ethanol extracts of propolis (EEP) were prepared and examined for their anti-oxidant activity by 2,2'-azinobis(3-ethylbenzothiazoline-6-sulphonic acid) and 2,2-diphenyl-1-picrylhydrazyl assays. To characterise the phenolic composition, the presence of 11 compounds was identified by HPLC analysis with photodiode array and mass spectrometric detection. All propolis samples had strong anti-oxidant activity, accompanied by high total phenolic content. The most abundant compounds were flavonoids. Concerning the phenolic compounds content, our results showed that the 75% of the samples analysed contained at least 80 mg/g of flavonoids, primarily pinobanksin 3-acetate, pinocembrin, chrysin, galangin and pinobanksin. Caffeic acid phenethyl ester was detected in almost all EEP samples but in smaller proportions (mean 12.9 ± 2.8 mg/g). The present investigation constitutes the first comprehensive report on the phenolics identified in southern Spanish propolis. The results revealed that the samples tested showed a high scavenging activity and therefore indicate the possible use of Andalusian propolis as an important source of natural anti-oxidants. Propolis is a resin collected by bees from plant buds and exudates, which is further processed through the activity of bee enzymes. Propolis has been shown to possess many biological and pharmacological properties, such as antimicrobial, antioxidant, immunostimulant and antitumor activities. Due to this bioactivity profile, this resin can become an alternative, economic and safe source of natural bioactive compounds. Antitumor action has been reported in vitro and in vivo for propolis extracts or its isolated compounds; however, Portuguese propolis has been little explored. The aim of this work was to evaluate the in vitro antitumor activity of Portuguese propolis on the human colon carcinoma cell line HCT-15, assessing the effect of different fractions (hexane, chloroform and ethanol residual) of a propolis ethanol extract on cell viability, proliferation, metabolism and death. Propolis from Angra do Heroismo (Azores) was extracted with ethanol and sequentially fractionated in solvents with increasing polarity, n-hexane and chloroform. To assess cell viability, cell proliferation and cell death, Sulforhodamine B, BrDU incorporation assay and Anexin V/Propidium iodide were used, respectively. Glycolytic metabolism was estimated using specific kits. All propolis samples exhibited a cytotoxic effect against tumor cells, in a dose- and time-dependent way. Chloroform fraction, the most enriched in phenolic compounds, appears to be the most active, both in terms of inhibition of viability and cell death. Data also show that this cytotoxicity involves disturbance in tumor cell glycolytic metabolism, seen by a decrease in glucose consumption and lactate production. Our results show that Portuguese propolis from Angra do Heroismo (Azores) can be a potential therapeutic agent against human colorectal cancer. Honey has been widely accepted as food and medicine by all generations, traditions, and civilizations, both ancient and modern. For at least 2700 years, honey has been used by humans to treat a variety of ailments through topical application, but only recently have the antiseptic and antimicrobial properties of honey been discovered. Honey has been reported to be effective in a number of human pathologies. Clinical studies have demonstrated that application of honey to severely infected cutaneous wounds rapidly clears infection from the wound and improves tissue healing. 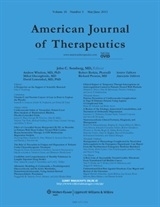 A large number of in vitro and limited clinical studies have confirmed the broad-spectrum antimicrobial (antibacterial, antifungal, antiviral, and antimycobacterial) properties of honey, which may be attributed to the acidity (low pH), osmotic effect, high sugar concentration, presence of bacteriostatic and bactericidal factors (hydrogen peroxide, antioxidants, lysozyme, polyphenols, phenolic acids, flavonoids, methylglyoxal, and bee peptides), and increase in cytokine release, and to immune modulating and anti-inflammatory properties of honey; the antimicrobial action involves several mechanisms. Despite a large amount of data confirming the antimicrobial activity of honey, there are no studies that support the systemic use of honey as an antibacterial agent. The inhibition in the synthesis or bioavailability of nitric oxide (NO) has an important role in progress of hypertension. The blocking of nitric oxide synthase activity may cause vasoconstriction with the formation of reactive oxygen species (ROS). Propolis is a resinous substance collected by honey bees from various plants. Propolis has biological and pharmacological properties. The aim of this study was to examine the effect of propolis on catalase (CAT) activity, malondialdehyde (MDA) and NO levels in the testis tissues of hypertensive rats by Nω-nitro-l-arginine methyl ester (l-NAME). Rats have received nitric oxide synthase inhibitor (l-NAME, 40 mg kg−1, intraperitoneally) for 15 days to produce hypertension and propolis (200 mg kg−1, by gavage) during the last 5 days. MDA level in l-NAME-treated group significantly increased compared with control group (P < 0.01). MDA level of l-NAME + propolis-treated rats significantly reduced (P < 0.01) compared with l-NAME-treated group. CAT activity and NO level significantly reduced (P < 0.01) in l-NAME group compared with control group. There were no statistically significant increases in the CAT activity and NO level of the l-NAME + propolis group compared with the l-NAME-treated group (P > 0.01). These results suggest that propolis changes CAT activity, NO and MDA levels in testis of l-NAME-treated animals, and so it may modulate the antioxidant system. Probiotics, great for a healthy digestive tract, have been found in bee pollen, bee bread and honey. Recent studies confirm that feeding honeybees sugar destroys their probiotics and thus weakens their immune system. Does anyone else see a pattern here? What's good for bee is good for me!! Fructophilic lactic acid bacteria (FLAB) are a specific group of lactic acid bacteria (LAB) characterized and described only recently. They prefer fructose as growth substrate and inhabit only fructose-rich niches. Honeybees are high-fructose-consuming insects and important pollinators in nature, but reported to be decreasing in the wild. In the present study, we analyzed FLAB microbiota in honeybees, larvae, fresh honey and bee pollen. 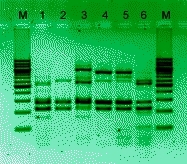 A total of 66 strains of LAB were isolated from samples using a selective isolation technique for FLAB. Surprisingly, all strains showed fructophilic characteristics. The 66 strains and ten FLAB strains isolated from flowers in a separate study were genotypically separated into six groups, four of which being identified as Lactobacillus kunkeei and two as Fructobacillus fructosus. One of the L. kunkeei isolates showed antibacterial activity against Melissococcus plutonius, a causative pathogen of European foulbrood, this protection being attributable to production of an antibacterial peptide or protein. Culture-independent analysis suggested that bee products and larvae contained simple Lactobacillus-group microbiota, dominated by L. kunkeei, although adult bees carried a more complex microbiota. The findings clearly demonstrate that honeybees and their products are rich sources of FLAB, and FLAB are potential candidates for future bee probiotics.